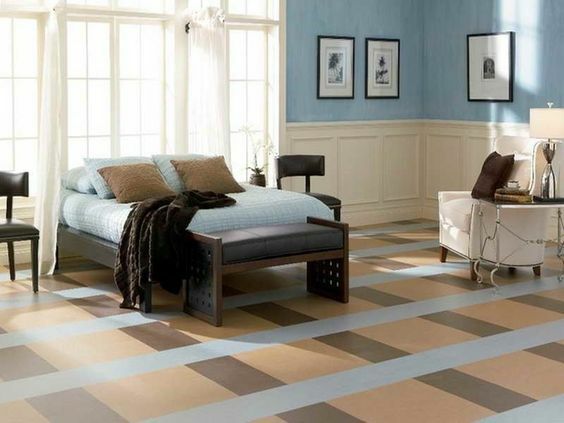 Pick your favorite bedroom flooring materials for the room in your home you like to spend the most time in. Bamboo, carpet, tile, and more! 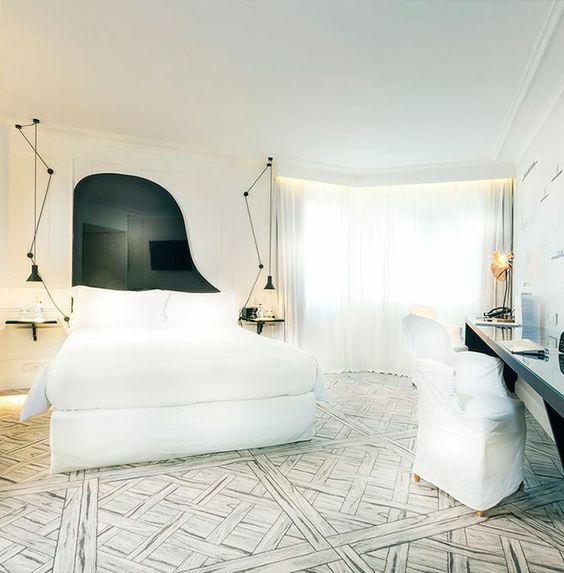 Your room is your happy place. 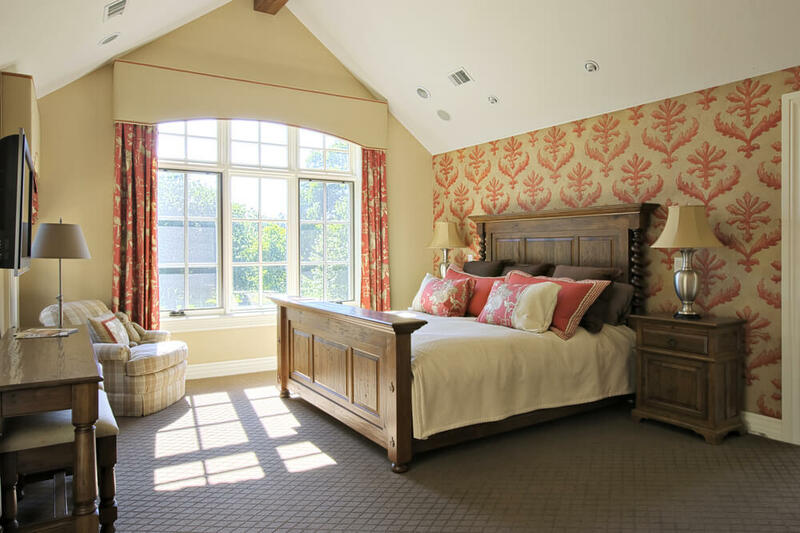 Whether you got to design your room from the ground up or got to pick it out in your new home, you want to make sure your room makes you feel comfortable and content. One way to make your room more comfortable is by choosing the right flooring. Different people have certain preferences for their bedroom flooring, but you don’t have to be stuck with flooring you don’t want. 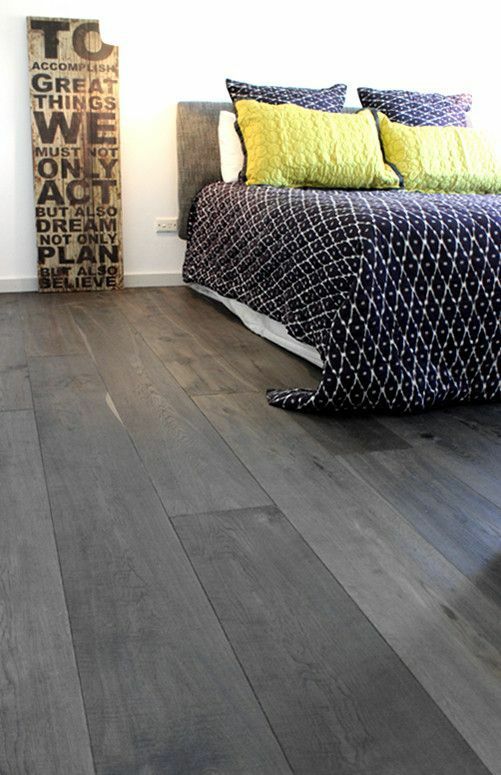 Here are a few of the best flooring materials you can use throughout your home and in your bedroom, too. Carpeting is probably the most common bedroom flooring material used in homes around the country. 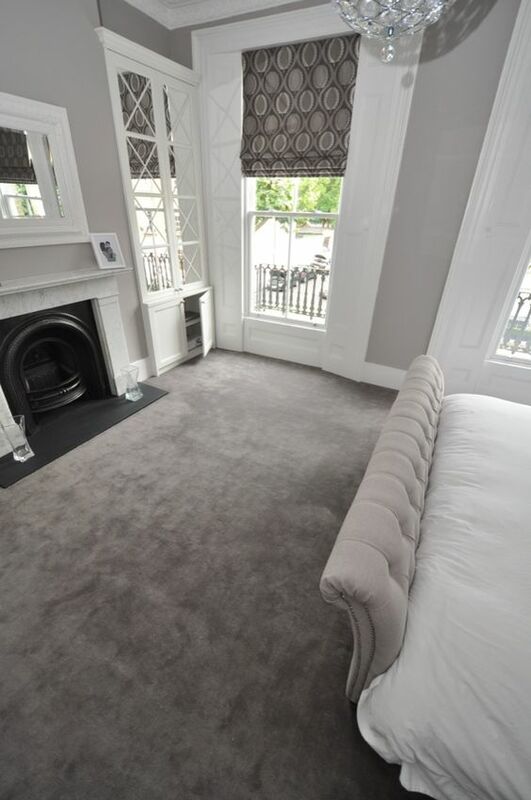 Carpet has many merits- it feels good on the feet, keeps your bedroom warm, and can blend in easily with the rest of your bedroom’s interior design. A lot of carpeting can resist dirt and stains, depending on the type of carpet you pick and the design. Wood flooring has a classic appeal for any room in your home. Natural wood flooring or a reliable substitute for real flooring can create a warm, stylish environment that you can dress up with area rugs if needed. Ash, walnut, oak, and maple are four of the most popular wood varieties used for hardwood floors. Each type of wood has its own color palate, so you can pick and choose which one you like best and that goes with the interior design of your bedroom. 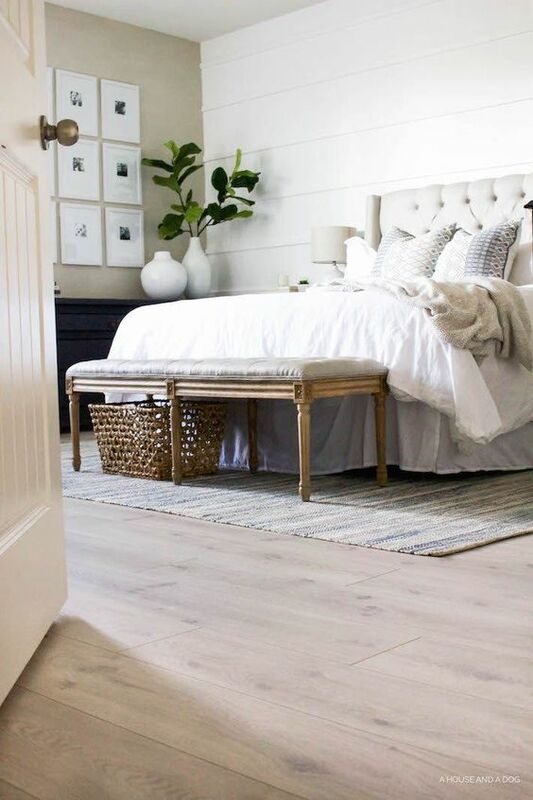 Laminate flooring might call to mind images of your bathroom, laundry room, or kitchen, but laminate flooring can be incredibly beneficial for bedrooms. Laminate bedroom flooring can be designed to take on a wide variety of colors, designs, and styles. This is also a hard-wearing bedroom flooring material, and it won’t scratch easily when confronted with foot traffic or the movement of beds, cabinets, dressers, or end tables. Laminate bedroom flooring is inexpensive compared to hardwood or even some carpeting, and it can be installed easily. 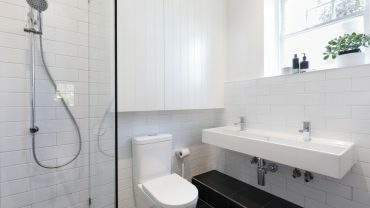 Ceramic tiles or natural stone can be used for bedroom floors. 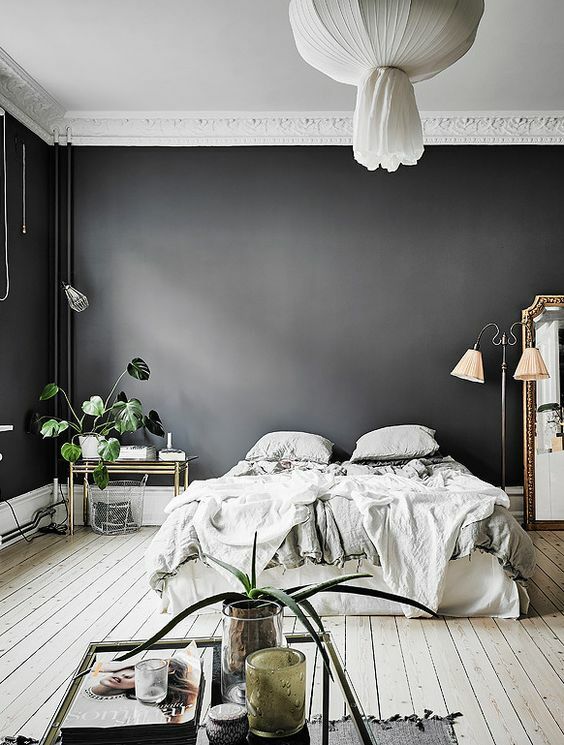 If your home has a unique design, bringing in details from Spanish or Moroccan themed homes, you may want to continue that design scheme in your bedroom. 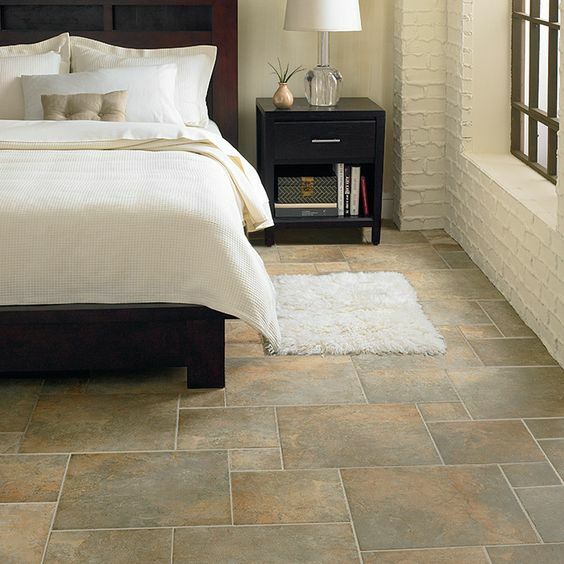 A natural stone or tile floor would be cool to the touch, easy to clean, and a creative choice for bedroom flooring. Cork flooring is most commonly used in kitchens, as this kind of floor is durable and soft on feet when standing for a long time. This kind of flooring could provide a soft, comfortable alternative to other flooring varieties if you are looking for something that blends in well. Cork absorbs sound, which will make your bedroom a quiet oasis. Cork flooring material is beneficial if you are looking for flooring that is eco-friendly and sustainably sourced. 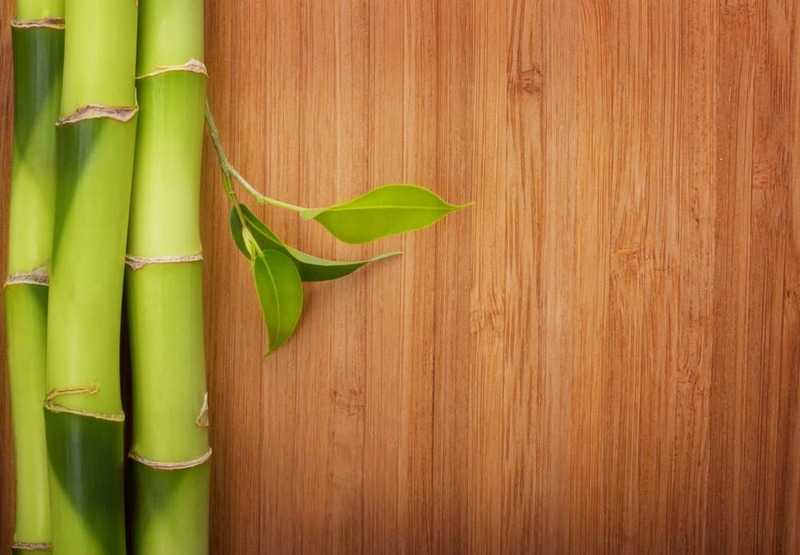 Bamboo and other grasses can be used to create beautiful, eco-friendly flooring that is stronger and more durable than hardwood. Bamboo is sustainable and comes in a variety of color and design options. Bamboo flooring is eco-friendly and comes in many styles. Carpet adds insulation and comfort for your feet. 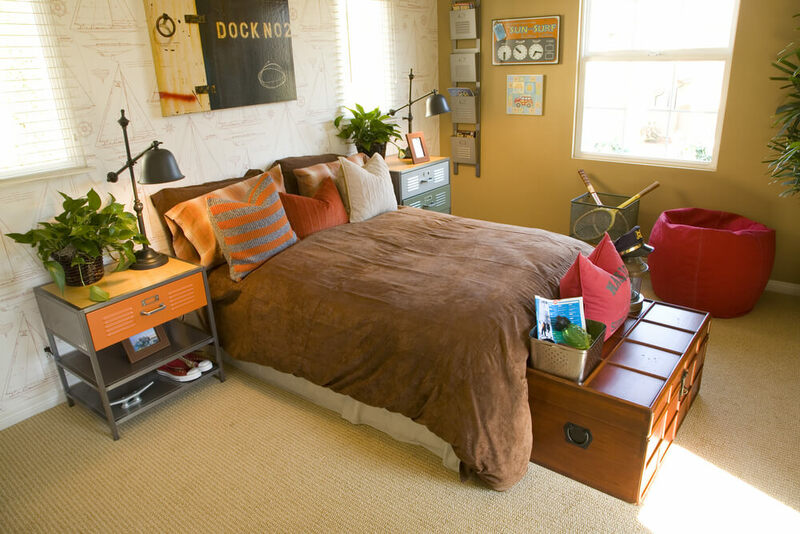 A large bedroom rug could protect your wood floors and provide a pop of color. 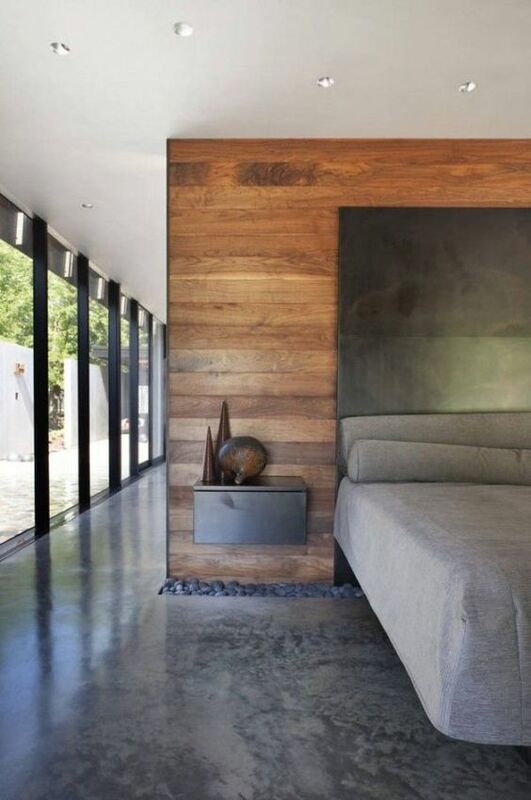 A concrete bedroom floor is a bold flooring choice. Painted wood floors can emphasize your flooring choice. Create a twist on traditional wood floors. Tile floors keep cool all year round. Laminate flooring is durable and easy to clean. Unique tile patterns can brighten your bedroom.